Noelle Paige… This name has been haunting me for now over eleven years. Her memory often comes back to me in desperate times but more importantly in moments of seething anger. A woman who was so wronged by every man at every doorstep that when she finally found one who loved her the most she unwittingly did the same to him. From “Tell me your dreams” to Pavid Pavillion (his worst! ), Sidney Sheldon has charmed my senses with his women centered plots. I agree in over nine years now I have not picked his single book. I had finished most of his collection by the time I reached class ten. Moving on. Noelle Paige was one such character of his found in one of his all time best seller “the other side of midnight”. A book which even has a sequel called “Memories of midnight”. Noelle Paige, a french woman whose life is strewn with anguish. Not the kind one could sympathise with or feel for, but the one that evokes pure simple unadulterated beads of revenge. She was only fifteen when her father sells her off to a man in Paris. All her life until then she believed her father to be the most wonderful man (like most of us), never for once suspecting that his doting attitude was to caress her to come with him and in turn earn cash over her body. She manages to run away from the man to whom she is sold and in another town meets the gregarious RAF pilot- Larry. The happy twosome spend many nights in each other’s arms and of course her love for the man knows no bounds. A promise of marriage and a date fixed is what Larry leaves Noelle with. She later finds out that Larry’s marriage has been fixed to a girl called Catherine. He has of course forgotten about Noelle and perhaps had only always seen her as a casual fling. Its here that a doctor (an intern rather) who finds her in delirious state and thereafter begins to treat her for prolonged pneumonia. In addition to this fact, he tells her that she is pregnant. No guesses as to who the father is- Larry. Noelle decides to keep the child. There are heartwarming narratives of her talking to the child, entreating it with promises of a wonderful tomorrow. Loves her as if he is alive outside the circle of her womb. Everyday she asks the doctor about the progress of the embryo. And then after three months the doctor tells her that now the child can actually feel, hear and sense things. Her happiness knows no bounds. Flushed with joy in her heart she goes back home. She reaches home, takes out a knife and then uses it to kill the child inside. In her last few conscious moments she calls the doctor. The doctor rushes to the spot immediately. In between incoherent tones she narrates that the only reason she wanted to keep the child for so long in her womb was to take her revenge. In fact she had decided the moment she heard of the pregnancy that she had to get it terminated. Because in her eyes the child was never hers but always only Larry’s. And what was her revenge? She wanted to kill the child. But only at a time when it was more human, had feelings and could most definitely feel pain. Hence she waited. For the opportune time. Revenge. And women. They do say that hell hath no fury than a woman scorned. This is only the tip of the iceberg of her story. The foundation of who she became eventually. You may want to read the book ‘the other side of midnight’ for her complete narrative. The character’s initial innocence and the contrasting actions following the betrayal, unnerves me still. That was from me. Now you tell us today a character that left a similar mark on you. And what was the one thing you still cannot forget about him or her. Just your brief gave me chills! 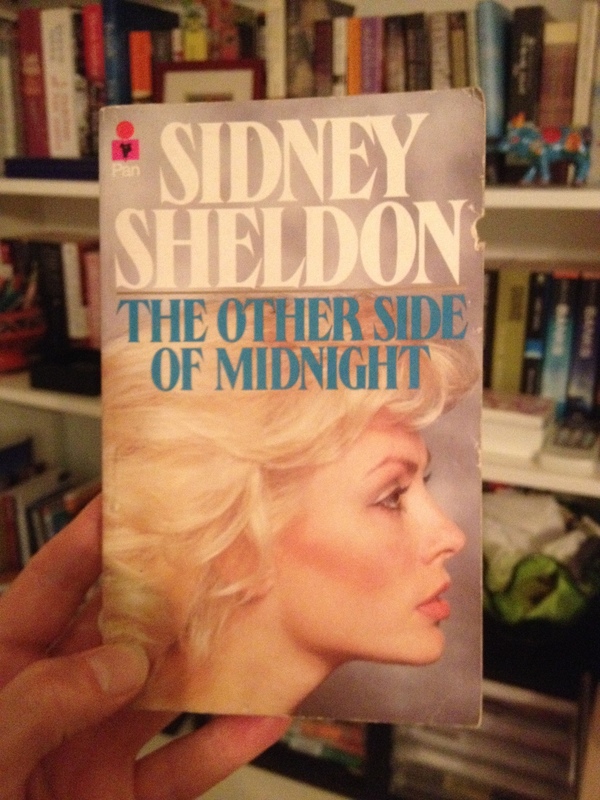 Had read a few Sidney Sheldon’s as a teenager but not this one! Gosh! Few characters do have a special place in my heart -Dominique Francon of Fountainhead, Florentyna Kane of The Prodigal Daughter and Scarlett O’Hara – these names jump out…all very strong willed…stubborn!